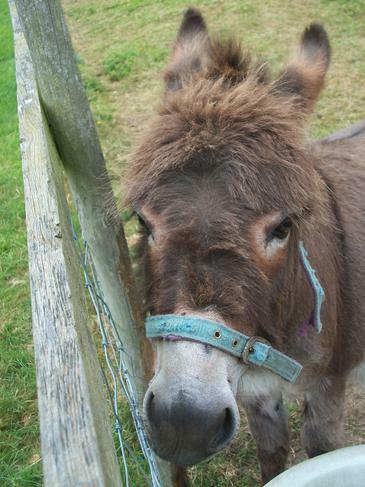 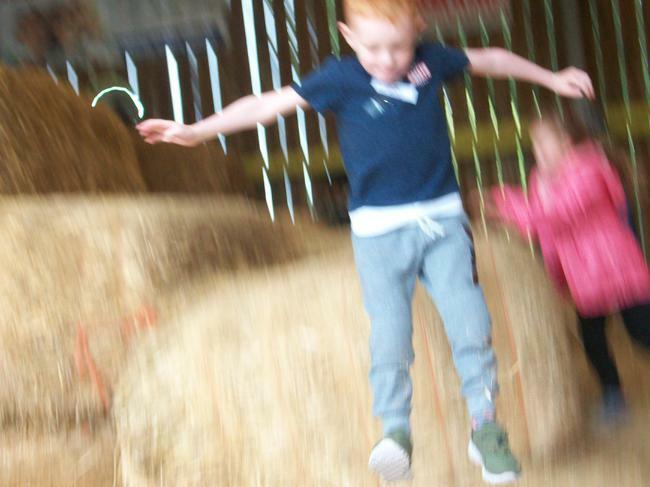 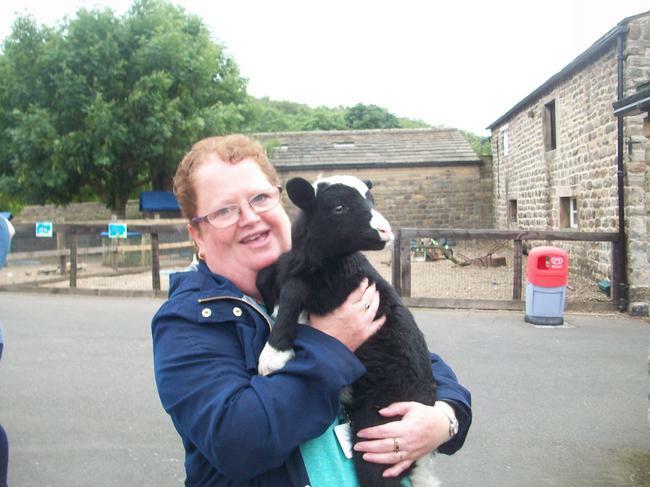 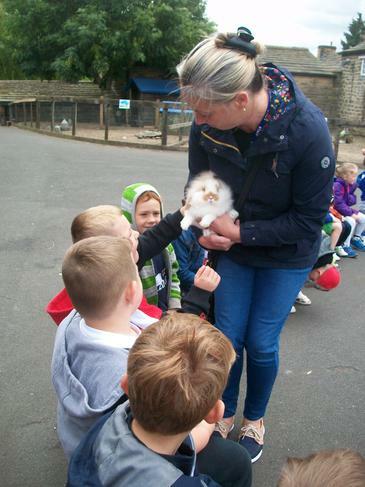 We visited St Leonard's Farm, Esholt, Bradford on Friday 15th June 2018. 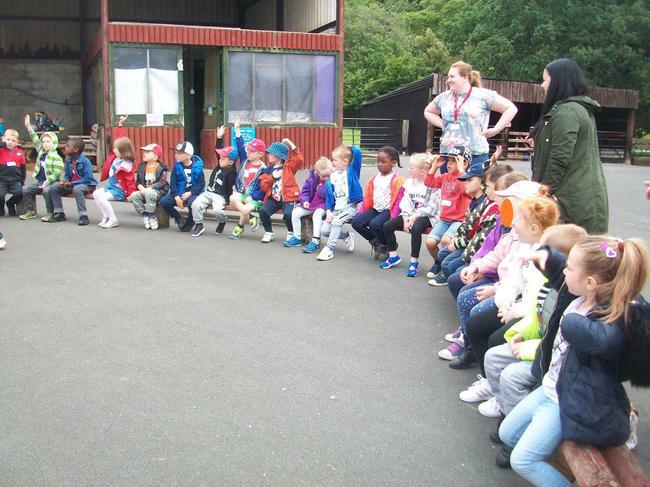 What an amazing day we all had, it was brilliant. 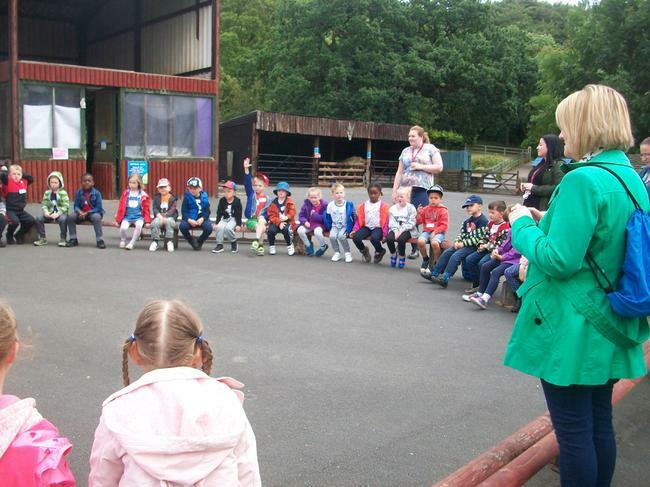 The children were very excited during the week leading up to the trip and on the day were desperate to get on the coaches and set off. 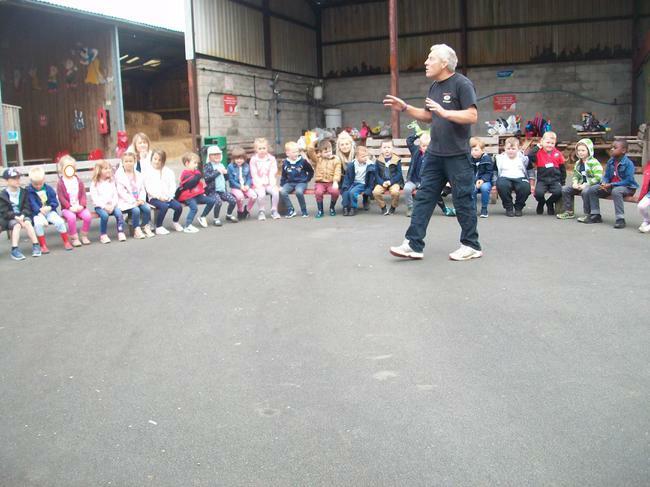 We started the visit with a wonderful talk by Farmer James about the baby animals on his farm. 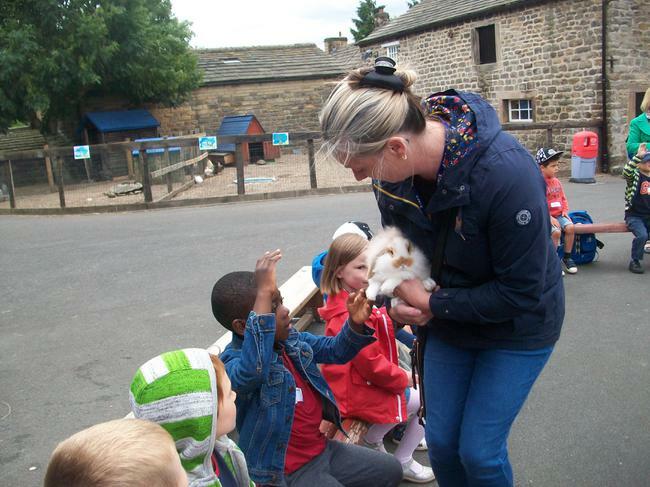 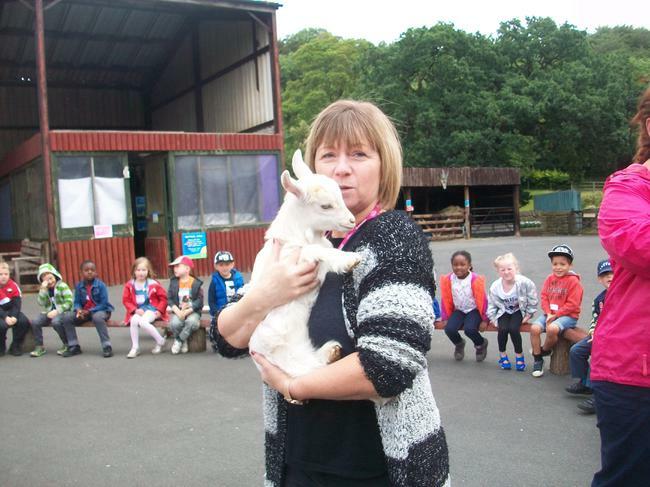 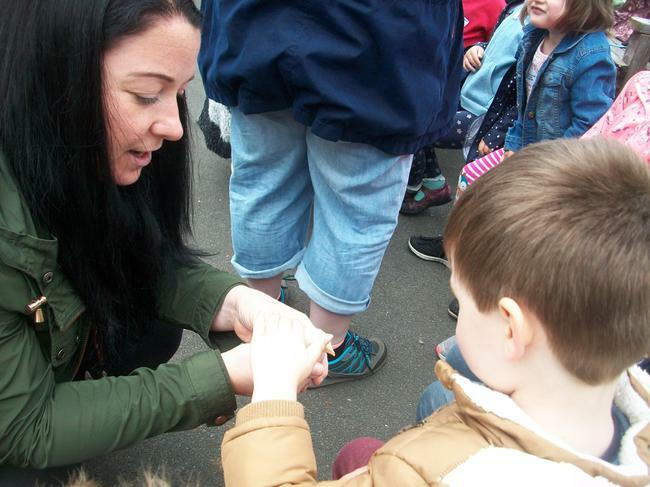 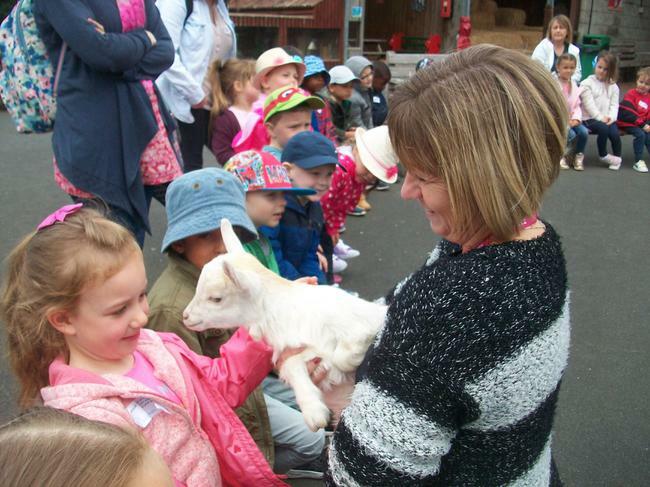 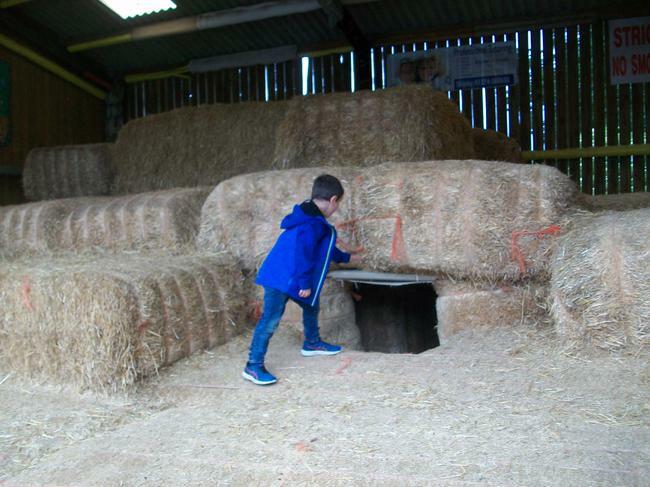 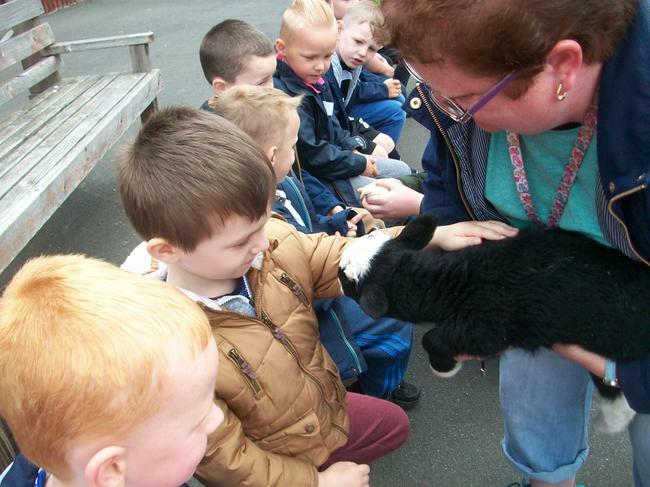 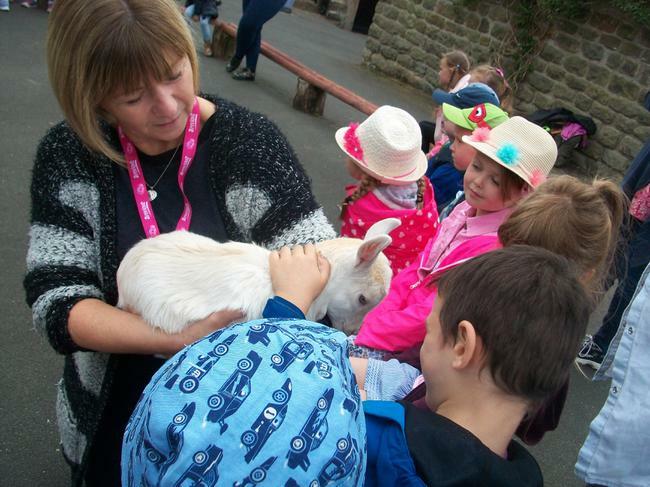 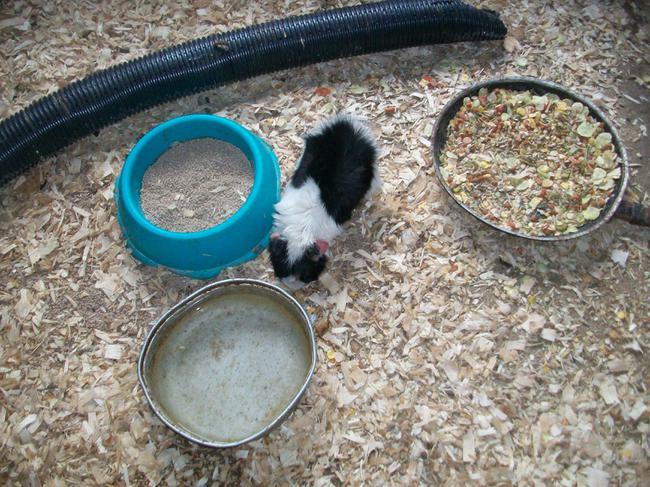 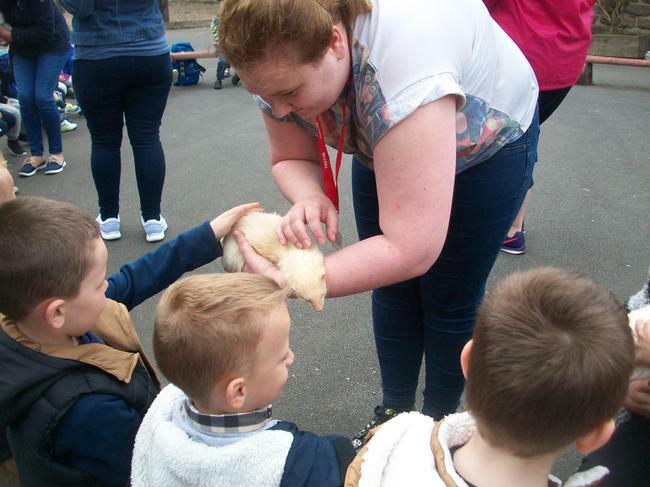 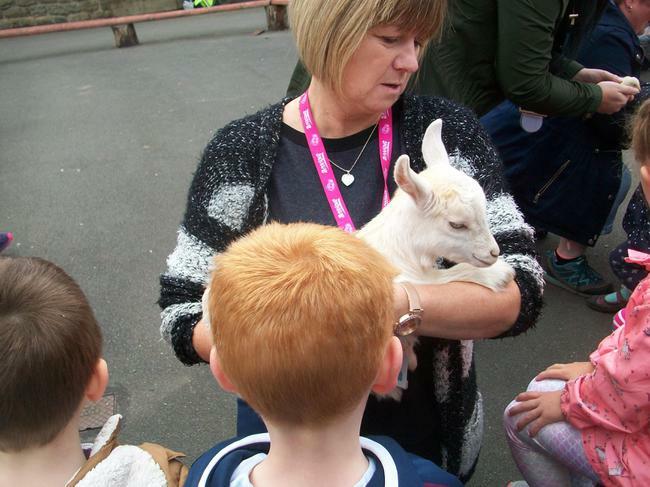 The children were able to stroke different animals such as a kid, a lamb, a baby rabbit (a kitten), a mouse, a rat, a chick, a cute little baby guinea pig (a pup or piglet), a ferret and even a very sneaky snake! 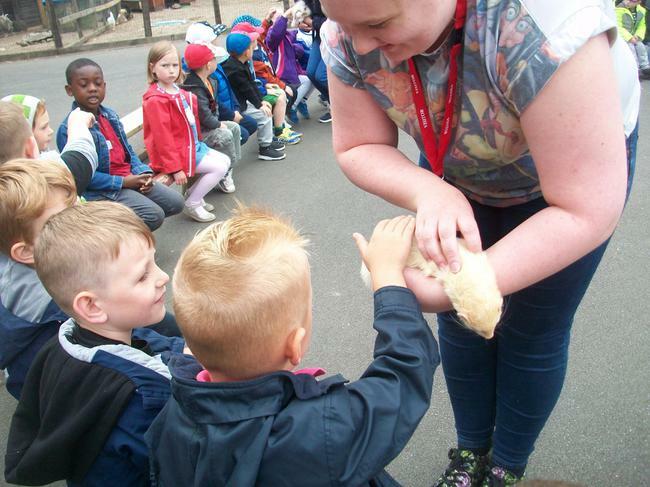 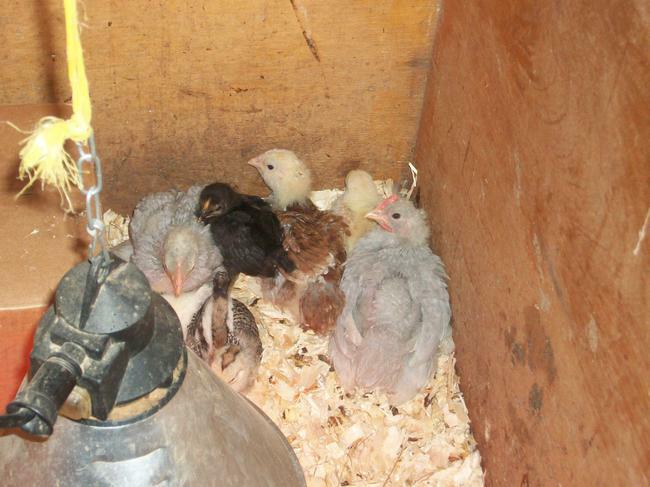 The children had chance to feel how warm a hen's egg is when it has just been laid. 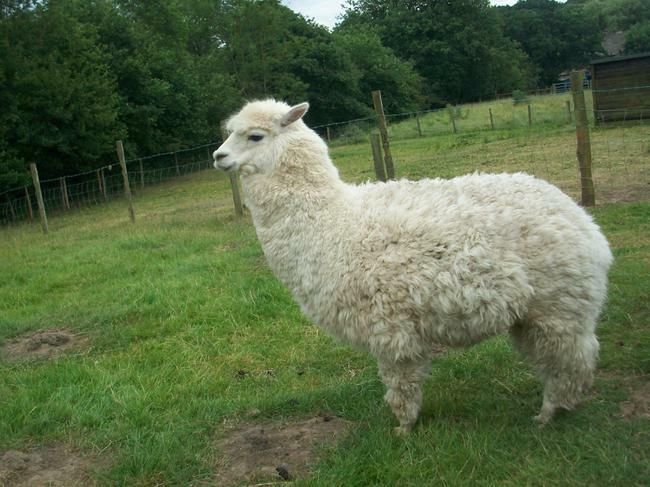 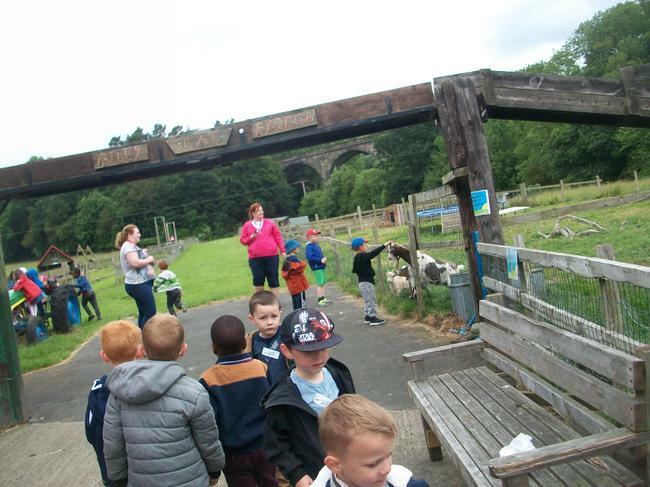 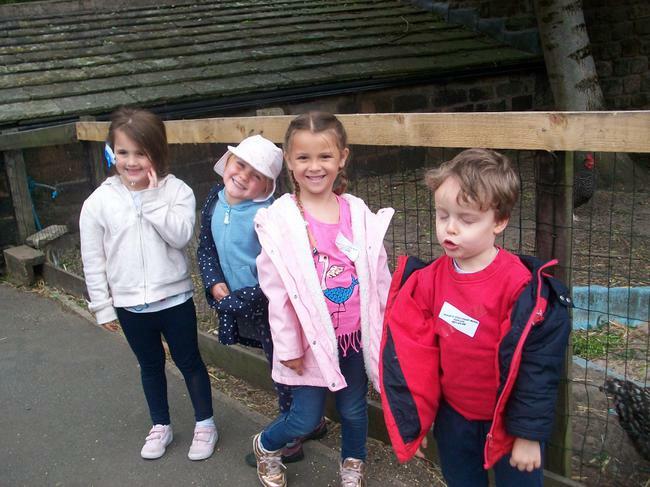 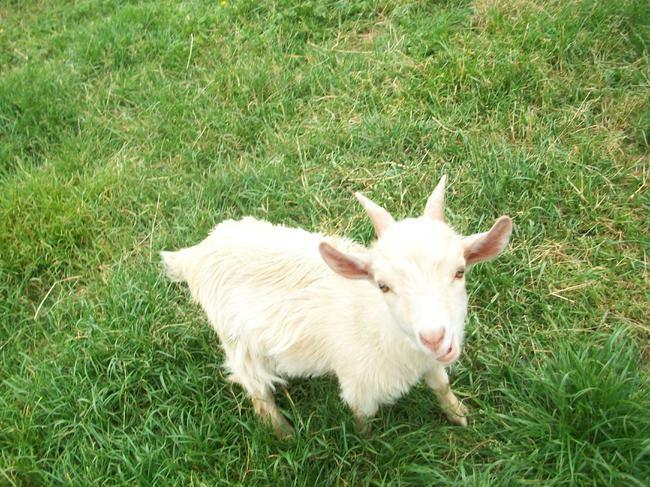 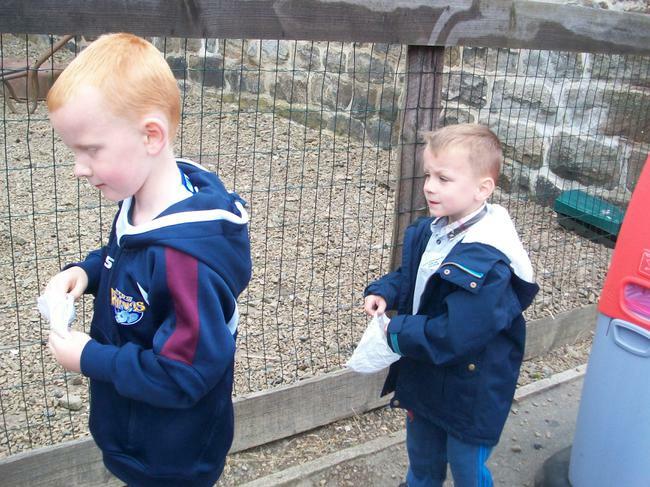 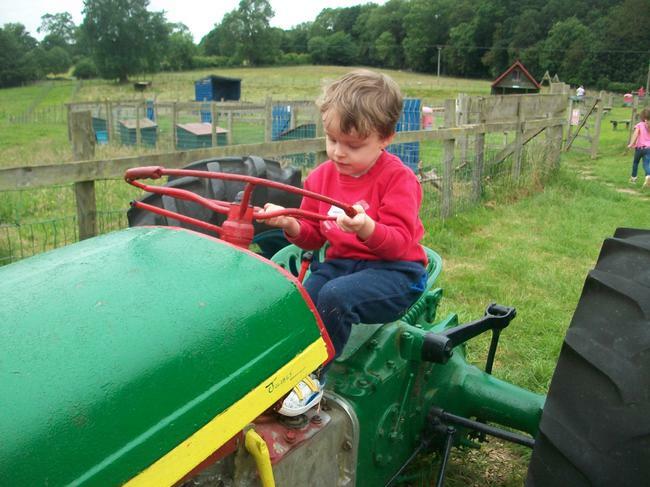 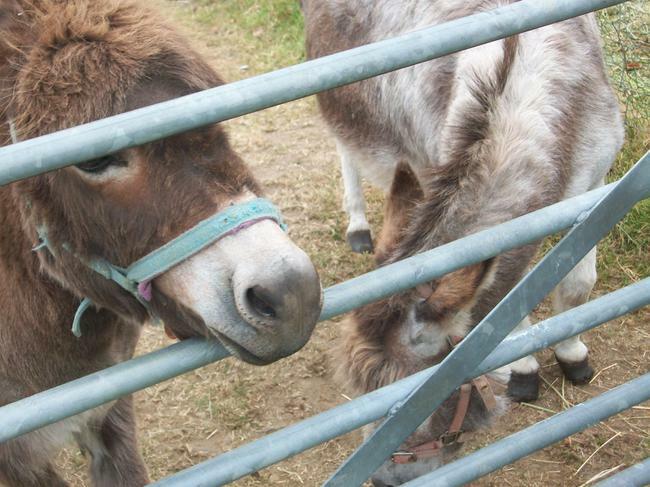 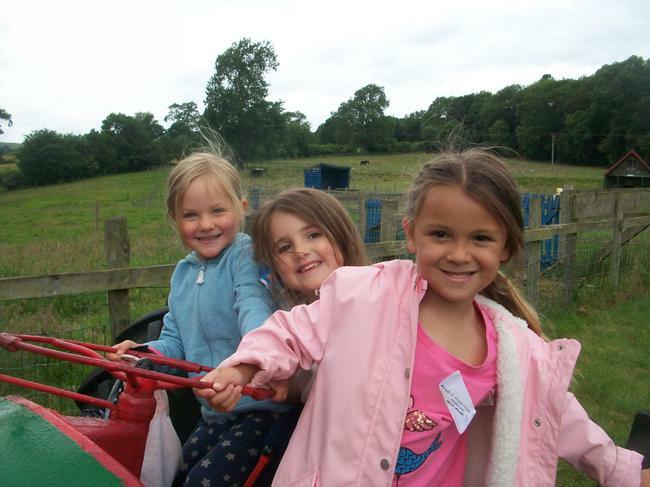 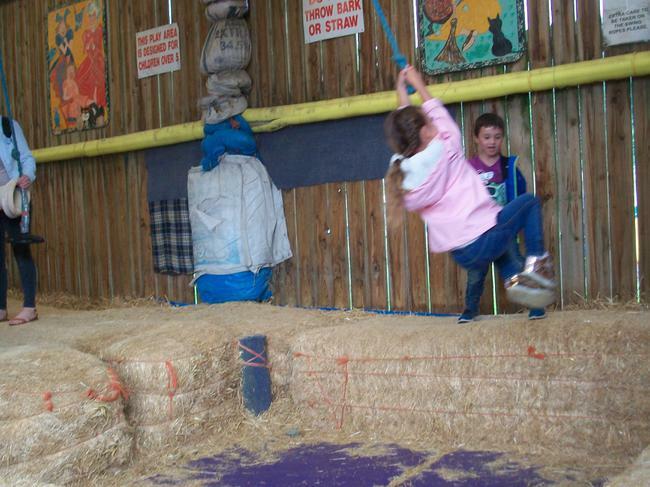 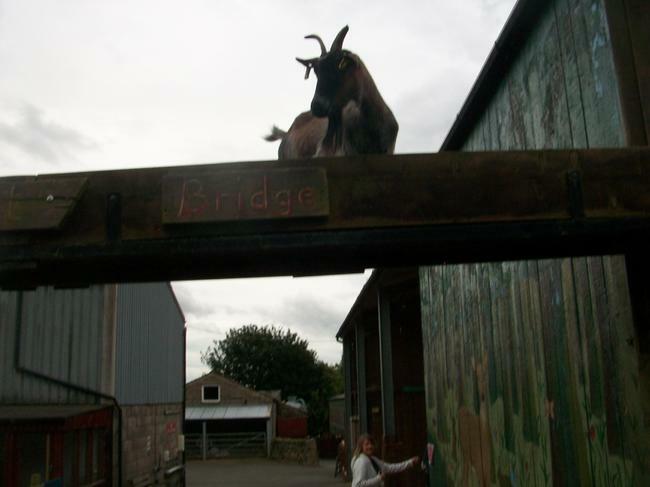 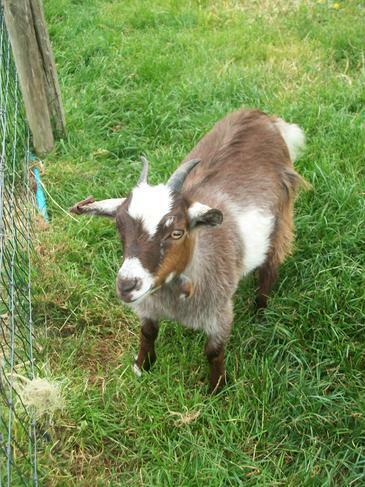 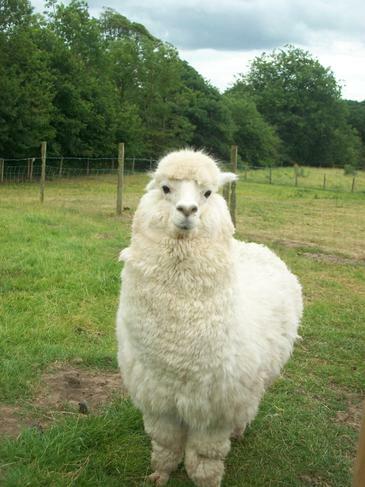 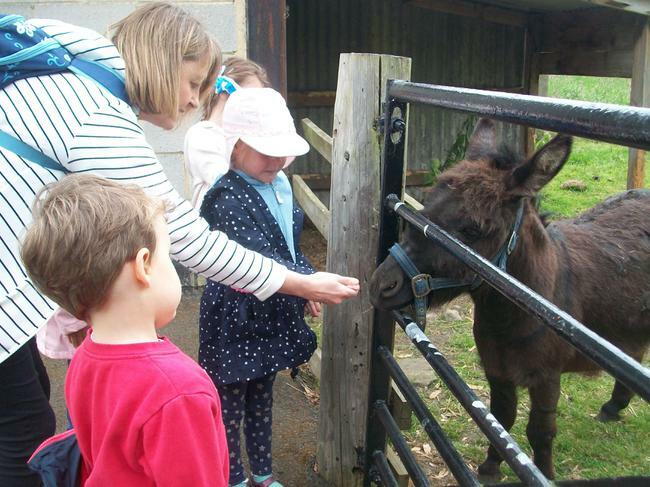 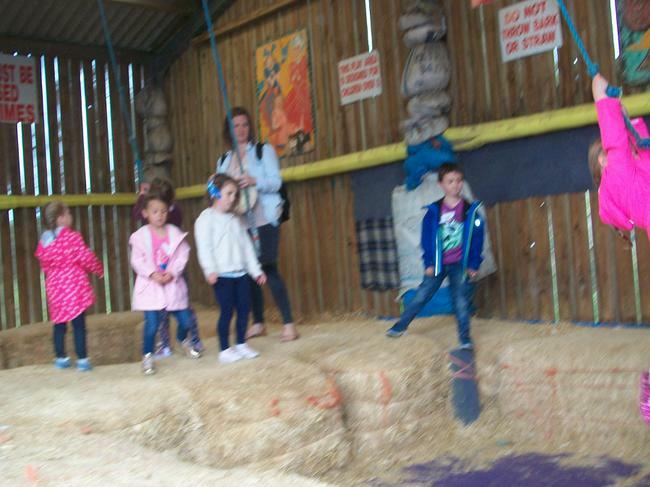 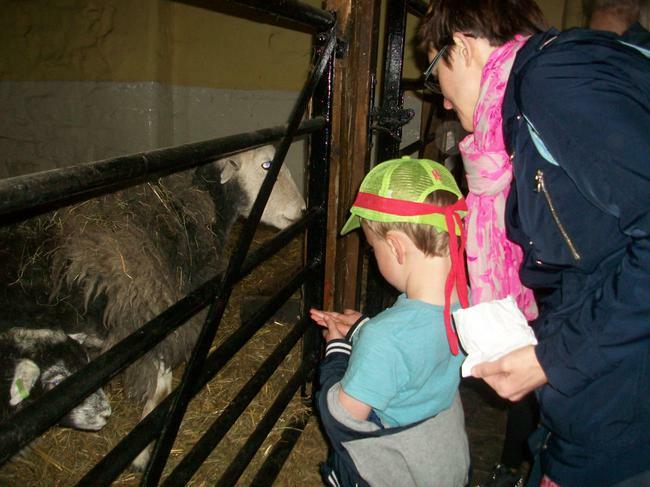 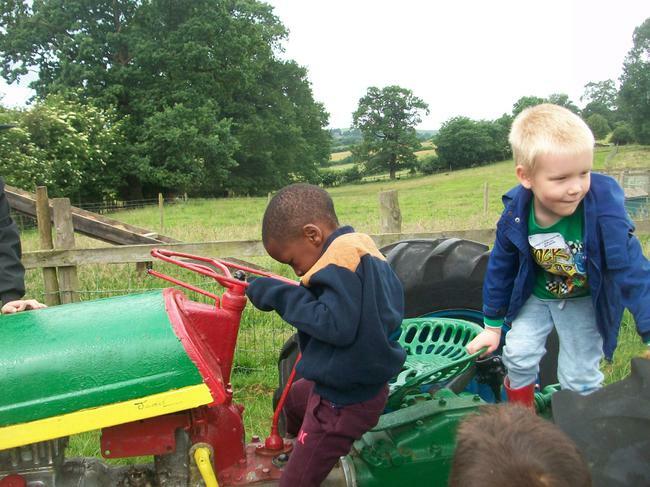 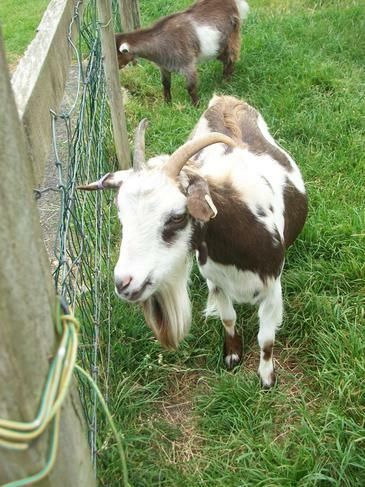 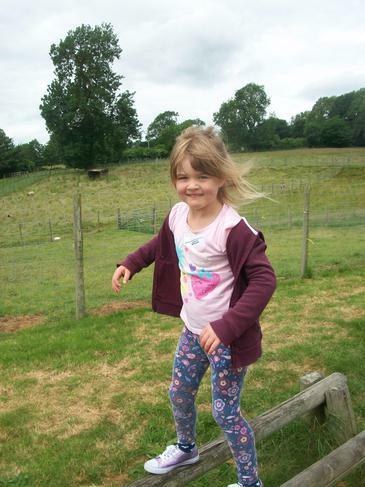 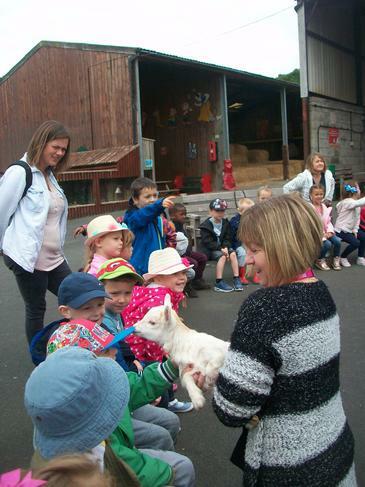 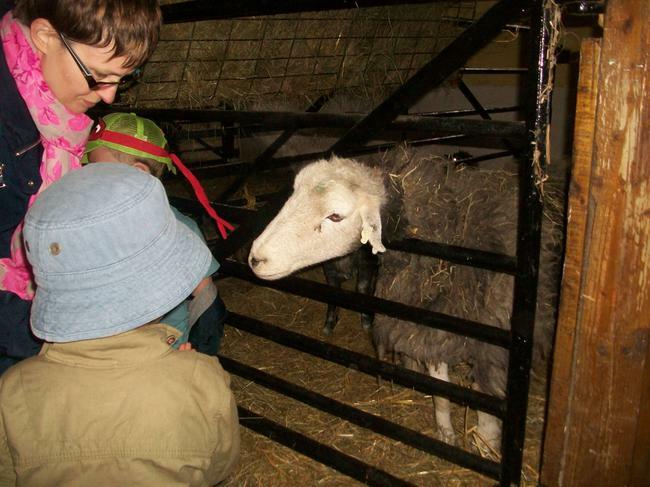 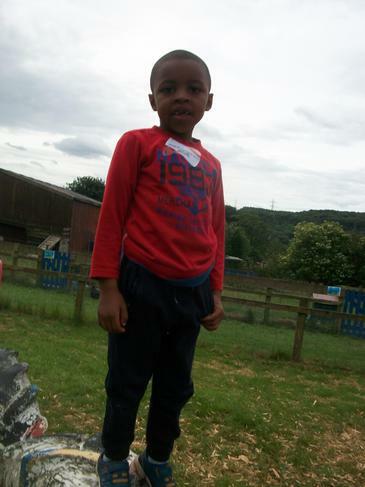 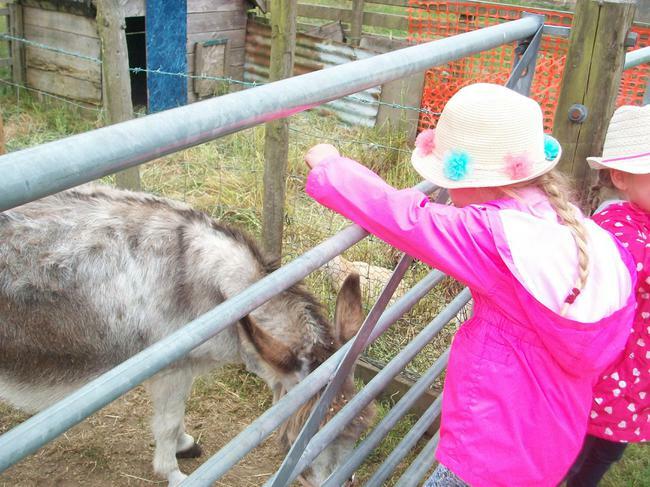 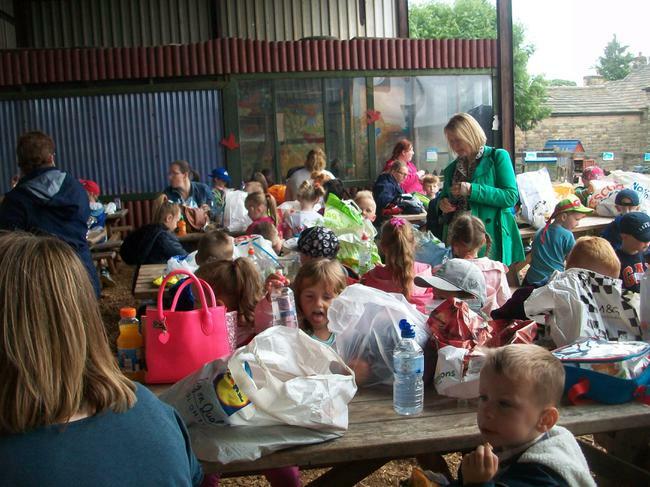 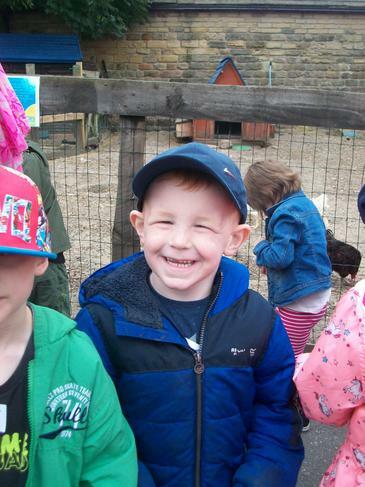 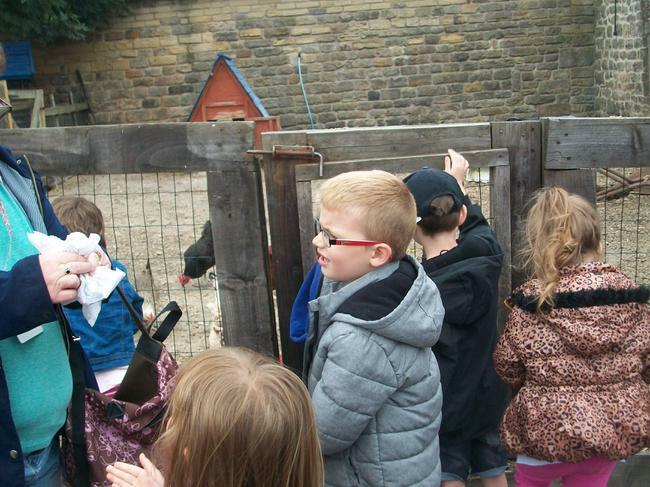 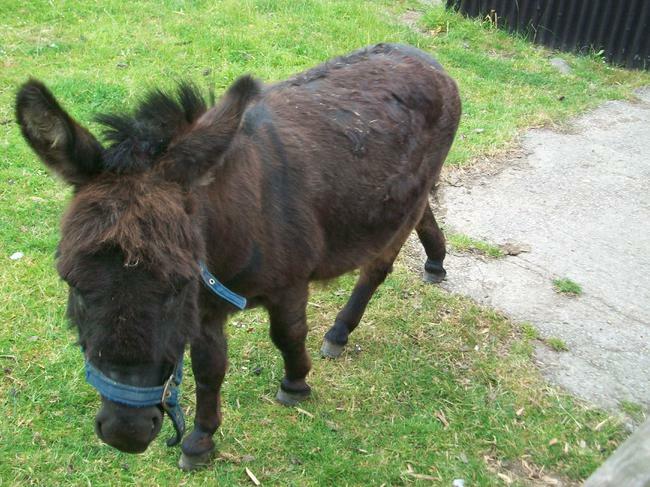 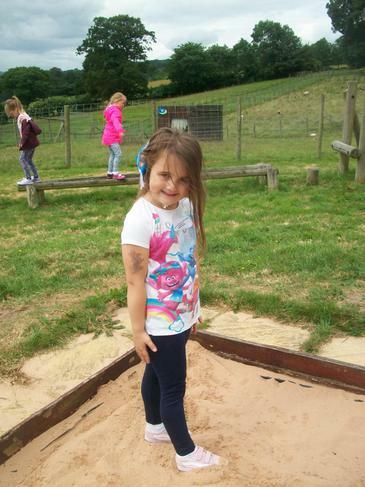 The children then went around the farm feeding the animals. 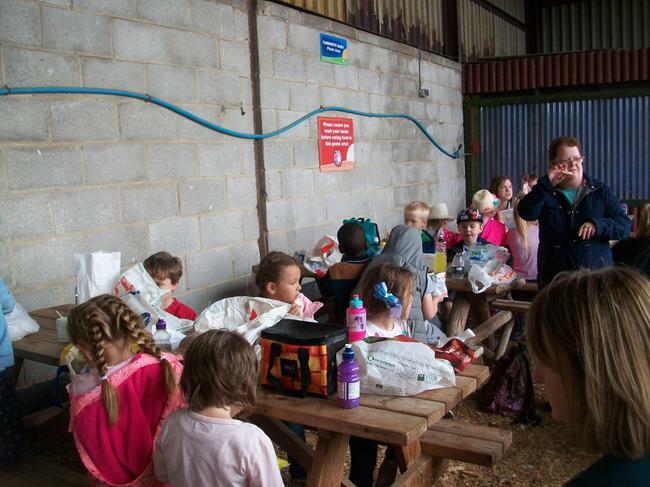 We had bags of food, for the different types of animals, and put our hands out flat with the food on to keep our fingers safe! 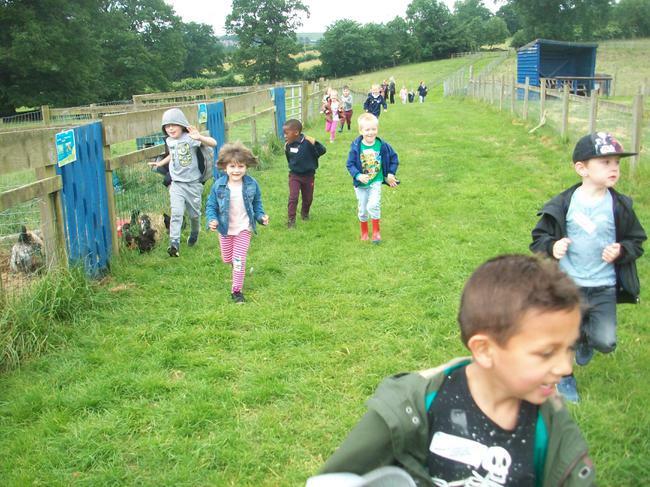 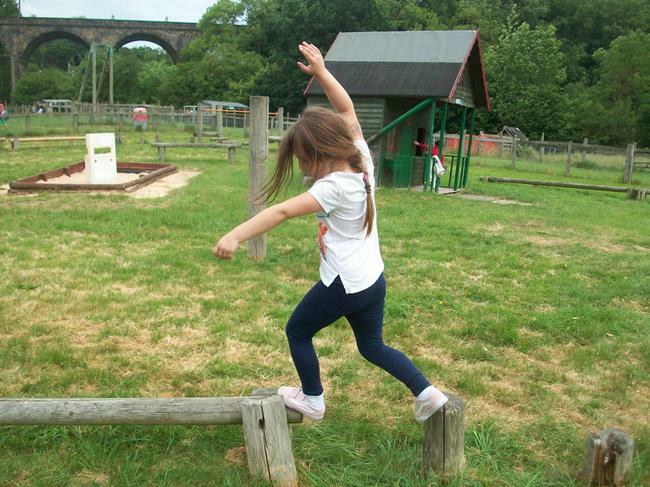 The children absolutely loved running along the large pathways to see all the different animals and then play in the two playgrounds. 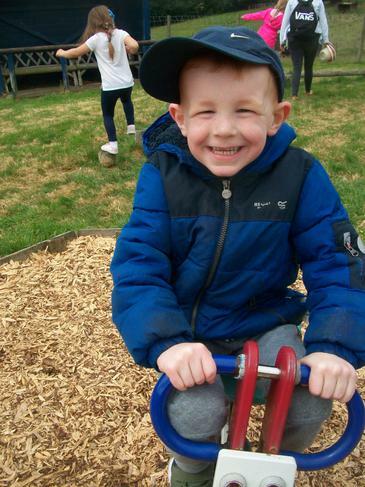 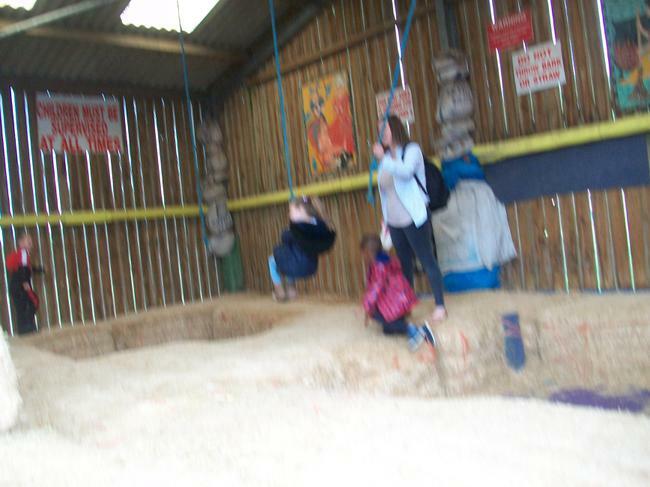 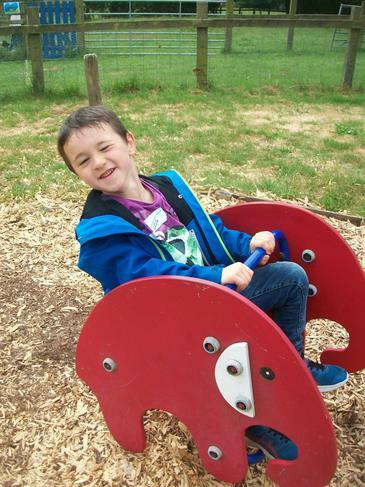 After our picnic lunch we had another quick play in the playground and then a fun packed hour in the soft play barn. 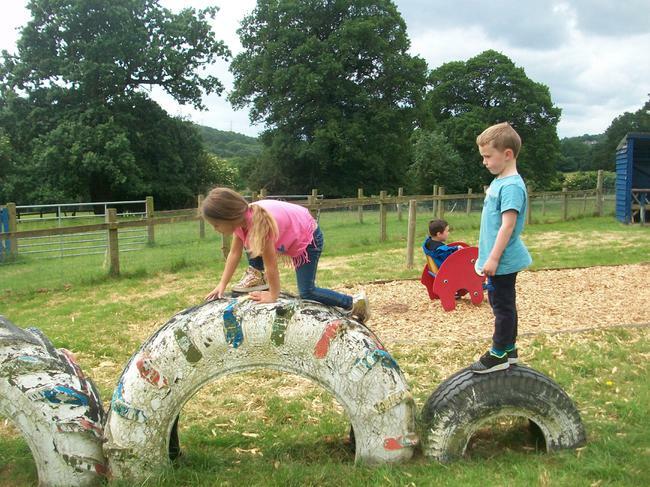 The children had chance to climb and swing and go down two enormous slides. 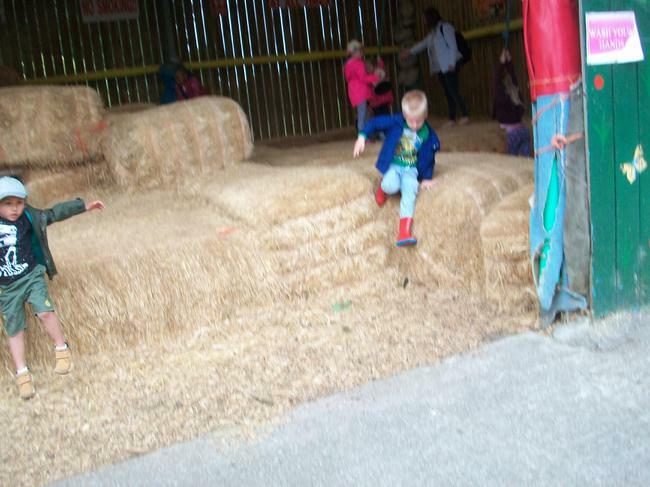 There was a steep slide ending in a ball pool and a wavy one too. 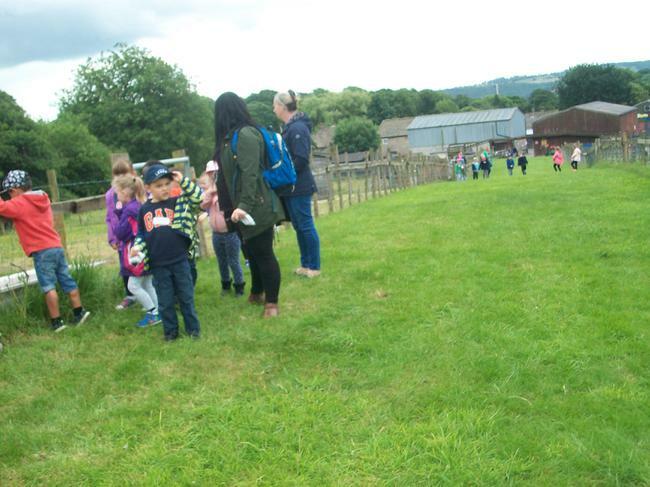 After an exhausting hour in the barn we had a well deserved ice lolly and then back on the coaches home.